Some call it “the musical gumbo” . . . others “the coolest music scene in Music City.” No matter how you describe it, the musical landscape in East Nashville is, without a doubt, one of the most interesting, most “happening” in the entire world—a David rivaling the Goliaths of Austin, New York, and L.A. in sheer diversity and talent-depth. UNDERGROUND NASHVILLE: Specifically, how does East Nashville Radio differ from other radio stations in Nashville? RICHARD CARPENTER: East Nashville Radio is a state of mind, a vibe created by the music of the artists it showcases. We are Internet-driven, with free mobile apps reaching audiences worldwide. ENR is an artist’s co-op of sorts, featuring hourly shows by various artists throughout the week. We specialize in a wide range of Americana, blues, and rock, but with no boxes or walls and no ceiling. The sky’s the limit! 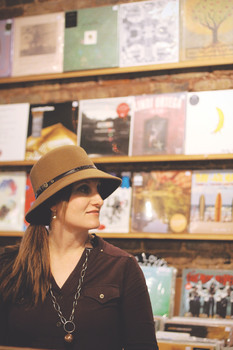 UN: Why did you feel there was such a huge artistic/musical need for East Nashville Radio? UN: What is the most important impact the station has had to date? RC: Gaining respect from artists Tommy Womack, Doug and Telisha Williams, Chelle Rose, and Marshall Chapman made us realize we had something unique and exciting. Doug and Telisha’s weekly show, Whiskey Wednesday, was our first 60-minute segment. [Last week was] their 74th episode. Chelle Rose soon followed with her show Appalachian Rock ‘n Roll. Her sassy banter has garnered a vast following. Our latest weekly shows are Anne McCue’s Songs on the Wire, Tommy Womack’s Friday Happiness Hour, Americana Music Show, Country Fried Rock, and Nashville Underground Radio. Editor’s Note: Roy E. Perry, the self-described “amateur philosopher of Nolensville,” wrote book reviews for “The Tennessean” and “Nashville Banner” for thirty years. In this new review, he continues his extensive look at the work of Southern literary artist T. R. Pearson. 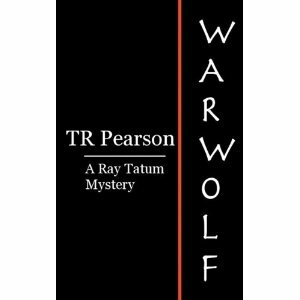 After writing a clunker, Red Scare (2008), T. R. Pearson returns to excellent form with Warwolf (2011). No, it’s not a werewolf horror story, but it’s a horror novel just the same—a chilling tale of blood and gore, mayhem and murder, in which a coven of homicidal maniacs terrorize a Virginia county some twenty miles west of Charlottesville. While searching for a lost dog, Deputy Delray “Ray” Tatum discovers a body lodged high in the limbs of a black oak tree. Later, he discovers this murder is but the latest in a crime spree of “peripatetic butchery” begun many years earlier in the Western states, and with more carnage yet to come. “Warwolf” was the name of a trebuchet, a medieval engine of war with a sling for hurling missiles. It was used in the Scottish Wars of Independence, and believed to be the largest such catapult ever made. A similar trebuchet had thrown the body from a nearby rock quarry into the black oak tree. Desperate for clues to solve the mystery, Deputy Tatum, joined by Kate LeComte, a Special FBI Agent (herself somewhat of a loose cannon), scour the mountains and ridges, hills and hollows, of Appalachia, searching for leads to identify and apprehend the killer or killers. Most of the local “citizens” are trifling ne’er-do-wells whose chief offenses are misdemeanors (stealing anything and everything that isn’t locked up or nailed down). As Tatum and LeComte painstakingly and persistently investigate the local familial clans, they slowly but surely whittle down the list of suspects. In this police procedural, Tatum and LeComte, along with fellow law-enforcement officers Verle (the local sheriff), and deputies Ronnie and Doug—aided by forensics from Richmond and Quantico—eventually unravel the identities of these bizarre serial killers, who cut open their victims, take out their vital organs, and put them in jars. A grisly read requiring readers with strong stomachs, Warwolf is a tense and gripping whodunit. In one of the year’s most remarkable indie / DIY stories, singer-songwriter Shantell Ogden has launched her new album Better at Goodbye onto both U.S. Americana and European record charts. During the past week, the album hit #93 on the Americana charts and # 38 on the Roots/Americana Album Chart. A single from the album, “The Lie I Tell Myself,” hit # 15 on the Roots/Americana Song chart. At the same time, the single “Looking for My Last”—just released to European radio and promoted by CMR Nashville—debuted at #28 on the European HotDisc Chart. For my money, the single most valuable music-related networking opportunity in Nashville is the monthly Music Industry Luncheon sponsored by Indie Connect. For the past year or so, these luncheons have been held at Belcourt Taps. But that’s about to change. Still to be held on the final Thursday of every month (except in November and December), the event will be held this month and hereafter in the back room at SOUTH (bar and restaurant), located at 5124 Demonbreun Street. According to Vinny Ribas, CEO of Indie Connect, the move was made for two principal reasons. Mr. Ribas said that he had been looking for a larger venue to accommodate the growing attendance at the monthly meetings, and he likes that SOUTH is so close to Music Row, making mid-day attendance even easier for people who work on or near the Row. The guest speaker at the Thursday, March 27 luncheon (to be held from 11:30 a.m. to 1 p.m.) will be Greg Seneff Sr. 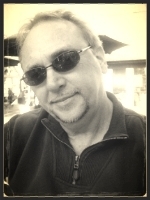 Esq., addressing the topic “Legal Issues Most Artists and Songwriters Don’t Know About.” Mr. Seneff, a solo-practitioner, served as Director of Legal Affairs at Benson Music Group, and as the Director of Business Affairs at EMI Christian Music Group. You are currently browsing the Underground Nashville blog archives for March, 2014.